The beginning of August brings a close to The Heico Companies' summer internship program. 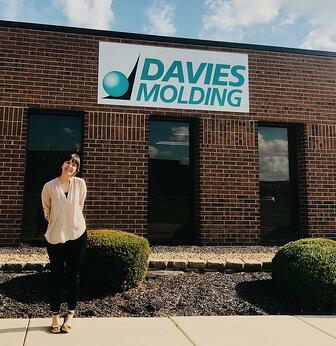 For the last eight weeks, Jacqueline DeWitt worked at Davies Molding as the Marketing Intern. It has been a great learning experience for her. From the moment I walked into Davies, everyone made me feel at home. People in both the office and the plant were excited to share their knowledge with me. Some of the employees have worked for Davies Molding for decades, and I think that says a lot about the company. They're more than just co-workers but a family. I'm so grateful to have been a part of the Davies Molding community for these past few weeks. I learned something new everyday. My supervisors were extremely dedicated to providing me with stimulating projects/tasks, creating a worthwhile experience. The internship was a great opportunity for me to become more familiar with marketing and the manufacturing industry. Davies Molding exposed me to products and programs that are applicable for my future. I now feel more equipped to enter the workforce. The Davies Molding employees feel that this internship program is extremely beneficial for our company as well as the interns. We wish Jacqueline the best as she studies abroad and continues her college career! A Warm Welcome to Yusuf! We are pleased to welcome Yusuf Waxali to Davies Molding. He has recently started the position of Mechanical Engineer. 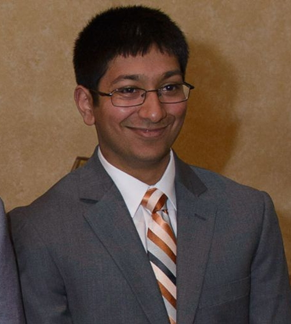 After graduating from the University of Illinois at Chicago in 2016, he worked at the Intec Group, a tier-two automotive plastic injection molding company. There he developed strong skills in CMM programing and injection molding simulation. Yusuf has a centralized focus in plastic part and tool design as well as tool building/maintenance. He will be very busy at Davies learning new information, but plans to continue playing soccer and reading in his spare time. 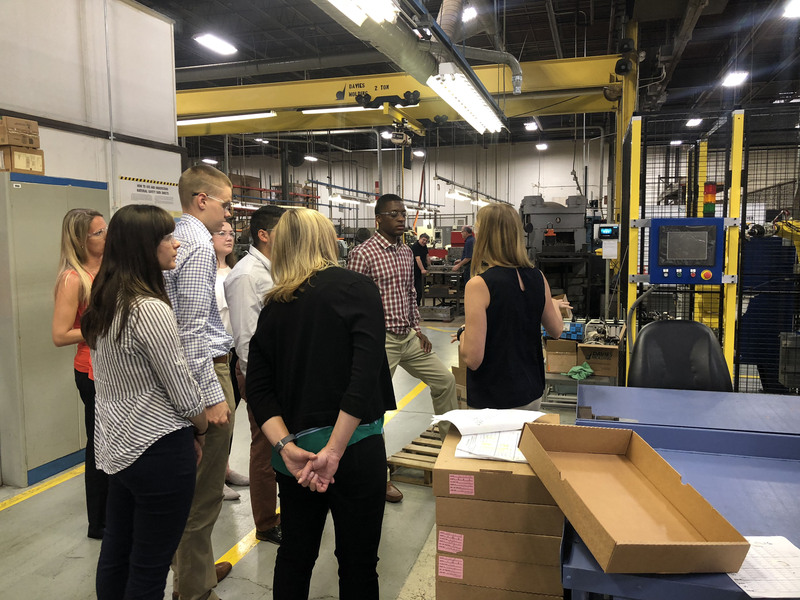 The Heico Companies interns recently took a tour of the Davies Molding plant to learn how our knobs and handles are manufactured. Geared up in closed toe shoes and safety glasses, they saw the molding process firsthand. The tour, given by Derran Smith and Jenny DuPrey, was rich with manufacturing knowledge applicable to the interns. It was a great opportunity for them to see the products that are made in the industry they are a part of this summer. “I loved interacting with the materials produced by Davies Molding’s and seeing what great detail is put forth during the production stages. Being a consumer, it is rare to see an item before it is completely polished so I found this new perspective to be very fascinating.” - Jermell Shackelford, Finance Intern for The Heico Companies Mergers and Acquisitions. We always look forward to giving the interns a tour of our plant. We had a great time teaching them about the manufacturing process and we hope they enjoyed learning what Davies is all about. 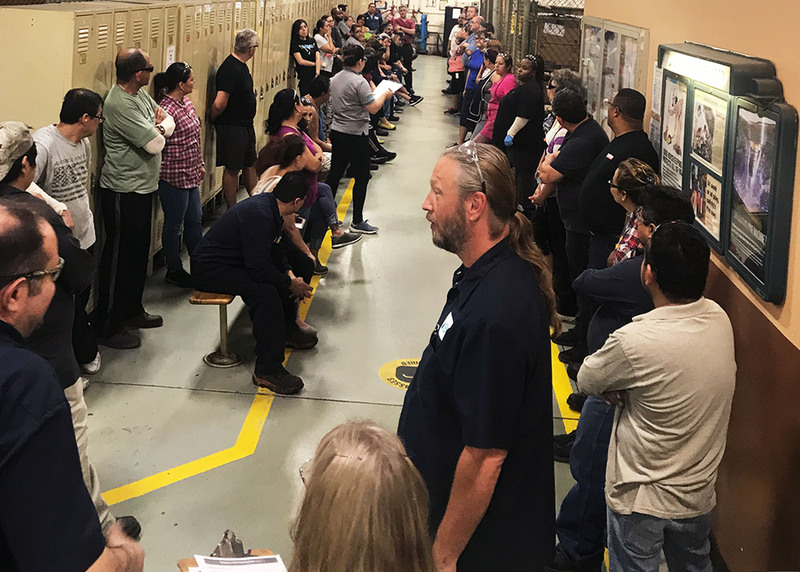 Davies Molding employees participated in a tornado/severe weather drill during June, National Safety Month. Everyone in the plant and offices practiced the precautions to be taken in case of an emergency. Everything ran smoothly during the drill—we're so lucky to have such a great team who cares for each other! Davies Molding welcomes Erin Masterson, our new Assistant Project Manager. Erin successfully completed a marketing internship program for Ohmite and Davies Molding during the summer of 2017. She brought great qualities to the office, and her diligence was extremely evident to our team. She recently graduated from University of Illinois at Urbana-Champaign with a Bachelor's Degree in Organizational Psychology. In spring of 2017, she had the opportunity to study abroad in Stockholm, Sweden where her global awareness and cross-cultural communication increased. During Erin's spare time, you can find her singing or watching Chicago White Sox games with her family! We are pleased to introduce Adel Davish, the new Tooling Manufacturing Engineer at Davies Molding. Adel has hit the ground running and has already been making great contributions to the company. 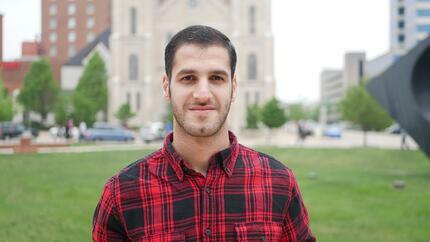 Adel completed his Bachelor's at M.J. College of Engineering and Technology. He continued his education at Kent State University, earning a Master's Degree in Engineering Technology. Adel was the captain for inter-varsity football and swimming champ. He enjoys fabricating homemade wind turbines and other small energy devices, leading him to working on a dissertation in energy generation/storage systems. It is our pleasure to welcome Eduardo Favela to Davies Molding! Eduardo just joined the company as Senior Accountant at the end of May. We are lucky to have him as a member of our team because of his unique skill set that will positively impact the organization's overall vision. He enjoy spending time with his three kids, hanging out at the beach, going to sporting events and playing a lot of basketball. Eduardo is looking forward to learning as much as possible about the industry and working with both the accounting and manufacturing side of the business. 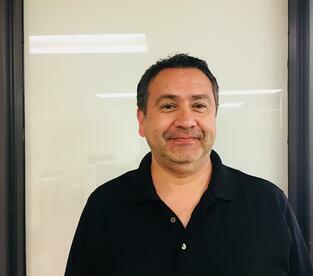 We proudly welcome our new Human Resources Manager, Luis Garcia. Luis recently started the position in March and is committed to facilitating the development of an engaged workforce at Davies Molding. In this role, he plans to ensure consistency, communication and integrity throughout the company. Luis has over 10 years of experience in the area of human resources. After obtaining a Bachelor's Degree in Business Management at DeVry University, he continued his education at Keller Graduate School. There, he earned his Master's Degree in Human Resources. Luis enjoys working out to stay healthy and loves cheering on his absolute favorite team–the Chicago Bulls! We are excited to introduce Jacqueline DeWitt, our Summer Marketing Intern! 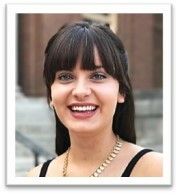 Jacqueline is from Glenview and attends the University of Illinois at Urbana-Champaign. As a rising junior, she is looking forward to studying abroad in Dublin, Ireland this fall semester. Jacqueline is pursuing a degree in Advertising and Art & Design. Some of her hobbies include graphic design and singing. She is a proud member of the Girls Next Door, the university's premiere women a cappella group. I am grateful to be working alongside people at Davies Molding who are so experienced in their craft. After being here for only a short time, I feel that I’ve learned valuable information about the company, and I cannot wait to produce marketing material using this knowledge. The company employees are extremely accommodating. They have presented a variety of projects to me based on my interests. I'm really looking forward to the work because I know these projects will help me gain real-world experience. Check Out Our Stand-Out New Product Line! Hex Hybrid Spacer Standoffs are commonly used for mounting electronic hardware (PCBs). The standoff provides support, spacing and insulation for components in a wide variety of applications like electronic enclosures, circuit board assemblies, panels, etc. Multiple combinations of female and male inserts and spacing lengths. Standard metric metal inserts with Nylon UL94 V-2 hexagon spacer body. View our full product offerings here, or contact our inside sales team at info@daviesmolding.com for more information.